It is considered that India is having the preeminent geographical location in the globe not only makes it rich in natural resources but also grants it to experiences 300 days of sunlight in a year. So why not? we should take advantage of this gift by God to us. Also, the government of India is on the mission of installing 100 GW of Solar by 2022 on Jawaharlal Nehru National Solar Mission. Grace renewable energy is the fastest growing solar organization with the cost-effective means of production and by adhering to International Standards and best practices in manufacturing; we are offering high efficiency solar panel systems India. 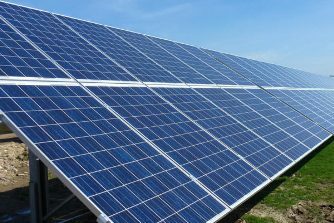 The Solar Power Plant Manufacturer provided by us can be installed at any place, be it a rooftop, carport, empty ground, Riverside, farm or whatever premise you possess. We as solar power plant solution provider pleased to serve any size of the solar venture from small scale to large scale and hence provide you the best alternative to harvest optimum electricity.